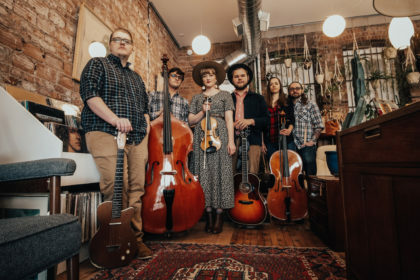 Rooted in Americana charm, Nebraska based folk band, The Wildwoods are ready to celebrate the release of their newest studio album, Across a Midwest Sky, to be held at The Talon Room, 230 North 12th St., Lincoln, NE, from 8pm to 11pm, on Saturday, April 20, 2019. Special guest includes, singer-songwriter American and Folk artist, Will Hutchinson. To reserve a seat to listen to charming storytelling and soulful songwriting all evening long, please purchase $10 tickets online at www.eventbrite.com, or at the door, subject to availability. All ages are welcome! The Wildwoods Across a Midwest Sky music can be purchased on iTunes, Amazon Music, Bandcamp and CD Baby. For more information about The Wildwoods go to: www.wildwoodsband.com, Facebook, Instagram and Twitter.